In recent months Mariah Carey's very short engagement to billionaire James Packer evolved into a highly publicized headline. 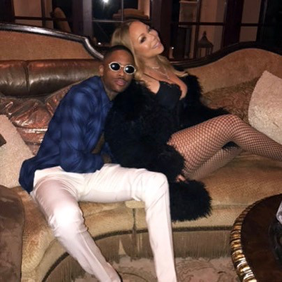 The vocal queen has plans to release a new song that will entail details about the demise of the relationship. She has teamed up with YG for a collaborative effort that is rumored to be released this coming Sunday (Jan. 29th). Check out a snippet below. Ahead of the track being presented to the world a preview has surfaced & it was sampled from Donnell Jones' 1999 hit "Where I Wanna Be".